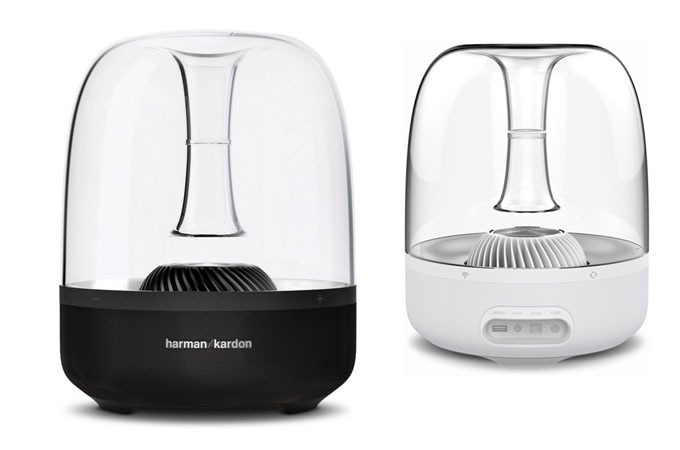 Get high quality sound and style with the Harman Kardon Aura. This small wireless speaker features six built-in 1.5-inch internal speakers and a 4.5-inch subwoofer that delivers omnidirectional sound. The transparent enclosure lets you view the sub and illuminating LED lights making it look as good as it sounds. 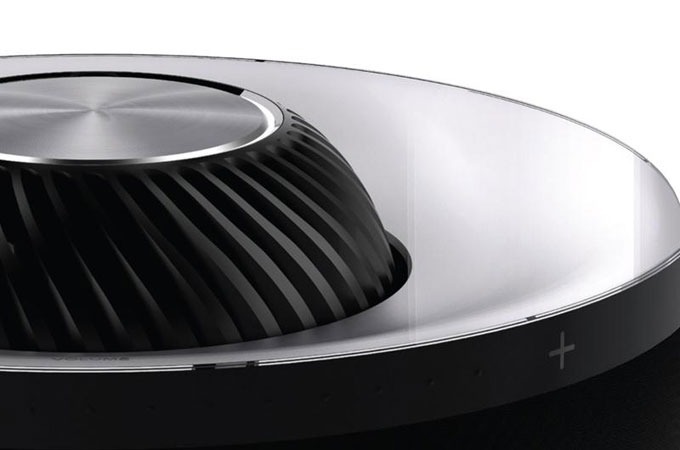 Aura is capable of playing music wirelessly via Apple AirPlay, Bluetooth and DNLA-supported devices. 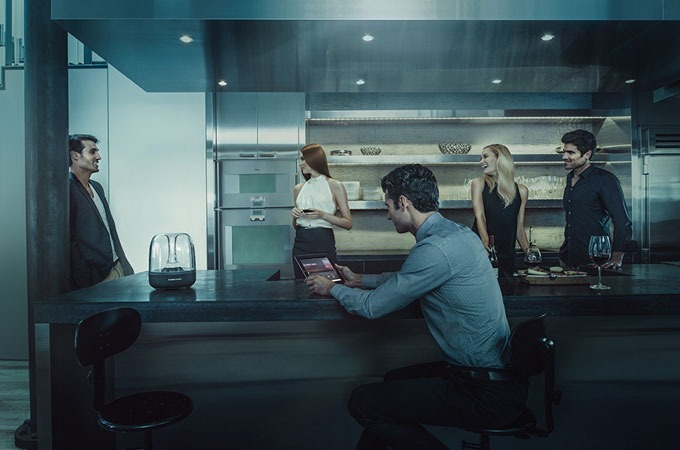 Aura can be controlled via the Harman Kardon remote app.